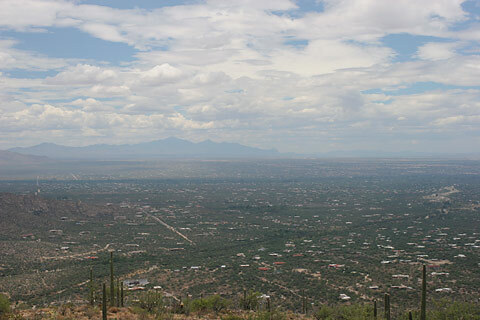 The monsoon humidity in the air has left most midsummer days hazy with scattered clouds, as can be seen in this photograph of East Tucson taken from the Catalina Highway. The hazy, blue mountains in the distance are the Santa Rita Mountains, which lie to the south of Tucson. 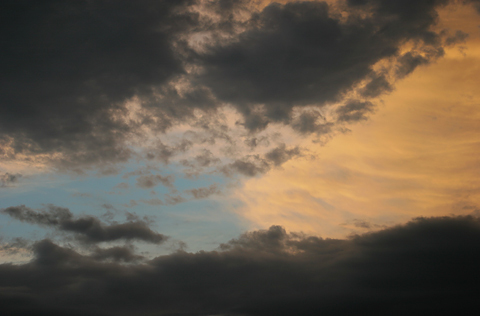 The monsoon humidity and clouds do make for beautiful and dramatic sunsets of varying colors this time of year, like this yellow, black, and blue sunset.